WildStar going free to play in 2015? Yup, the rumors are true. 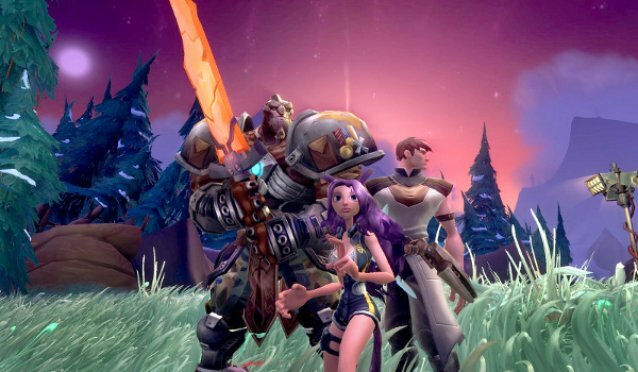 NCSoft and Carbine studios confirmed today that the popular MMO will be shifting gears this fall with a free to play model designed to draw more players into the WildStar universe. Loyal subscribers who maintained a subscription from WildStar’s official launch on June 3rd, 2014 until the Free-to-Play launch will receive an exclusive Ikthian Crawler mount, DJ Caretaker housing décor item, a Disco Snoglug companion pet, a new housing music track, four months of Signature service, and two new titles: “Living Legend” and “Nexus Loyalist.” There are 28 rewards in total for players of all levels, so don’t fret if you’ve just joined WildStar. A full list of rewards can be found on the WildStar website. ALISO VIEJO, Calif. (May 28, 2015) – NCSOFT® and Carbine Studios™ are excited to announce that WildStar, one of the most critically-acclaimed MMOs of 2014, will become free-to-play this fall. As this transition takes place, Carbine is committed to ensuring that WildStar will remain AAA, offering polished regular updates and a high-quality experience. Following the transition this fall, all players will be able to level to 50, acquire all Amps and abilities, and participate in all dungeons, raids, adventures, shiphands, and PvP. The entirety of the game will be open for players to explore for free. · Making the Amp system easier to use by unlocking all Amp slots. · Reviewing dungeons and open world content so that the experience is challenging, but not brutal. · Changing the tutorial and early game experience to provide a better and quicker introduction. Over the next several months, the studio will share more details about how this transition will impact current and future players along with more detail on the significant improvements coming to the game. Players who maintain a subscription from June 15, 2015 through the free-to-play transition will receive exclusive items and rewards. Additionally, those players who have supported the game since launch, and maintain their subscription through transition, will receive even more. For former players, Carbine will outline a comprehensive loyalty program that rewards players for time and effort invested in the game, even if they are not current subscribers. Additional detail about all of these rewards can be found at http://www.wildstar-online.com/en/news/2015-05-28-player-appreciation-rewards. The studio will continue to provide regular content updates, delivering exciting additions to the game’s stories, systems, and landscape. The transition to free-to-play is only the beginning of what is to come for WildStar. For more information, please tune in to our announcement livestream at 10:00 am PDT on Friday, May 29 athttp://www.twitch.tv/wildstar. To learn more about WildStar’s transition to free-to-play and to sign-up for closed beta, visit www.wildstar-online.com. Critically acclaimed and now free-to-play, WildStar is a fantastical sci-fi MMO where you can join your friends or undertake your own epic adventures on the fabled planet Nexus! Explore the huge and amazingly vibrant world packed with unique characters, exotic locations, thrilling challenges and dark mysteries. Recruit fellow citizens of Nexus to solve the primordial puzzles of the universe itself as you experience exhilarating action combat, deep character customization, and one of the most powerful housing systems ever seen in a MMORPG. For more information on WildStar please visit: www.wildstar-online.com. Carbine Studios is a software development company focused on making high-quality, conceptually innovative Massively Multiplayer Online games. Located in Aliso Viejo, Calif., Carbine was founded in 2005 as a division of NCSOFT Corporation by a dedicated team of game industry veterans of watershed franchises such as World of Warcraft, EverQuest, Diablo II and Fallout. The studio is currently hard at work on their sci-fi themed MMORPG, WildStar. For more information on Carbine Studios, please visit www.carbinestudios.com.